Not long ago, we partnered with Credible Behavioral Health to facilitate the redesign of their website. The project was a full overhaul, covering everything from design to content. This resulted in a new, fresh site, optimized for user experience. Today, we are proud to announce that the new site is live! 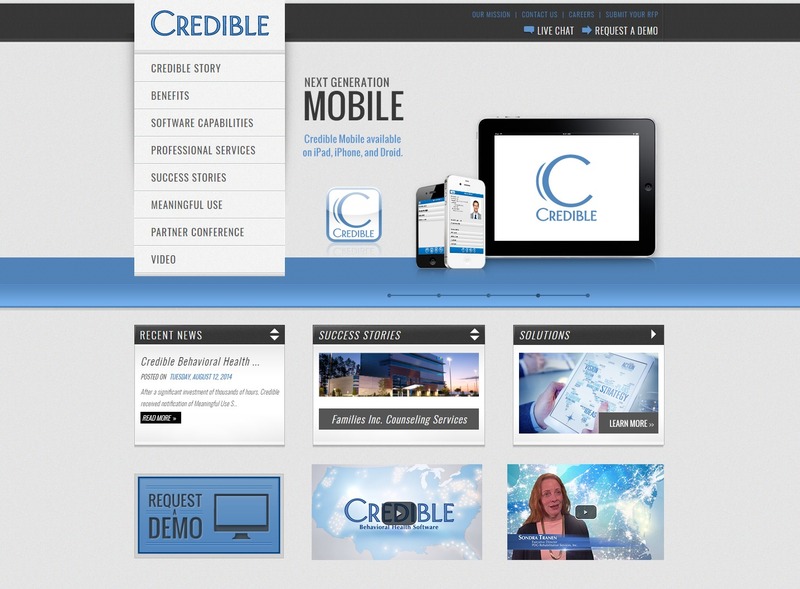 Redesigning Credible’s website was no small task. At the time, the website they were using was outdated in both design and function. In addition, the site wasn’t comprehensive enough to fully cover the range of solutions Credible provides. Since they are a behavioral health software company, creating a good user experience was extremely important. The new design is clean, swapping out a blocky font for a smooth, easily readable one. The white space on the site is used to their benefit, creating a modernized, almost futuristic feel. We then chose images to reflect the sense of partnership and community that Credible emphasizes. Our design, development, and content teams each played a distinct role in making the site what it is today. The content on Credible’s old site barely scratched the surface of their many solutions and capabilities. To rectify this, we created a comprehensive list of the solutions, software capabilities, and benefits Credible provides. Each segment has its own page, complete with new and engaging text. For a company like Credible, the goal was to create taglines and headings that were eye-catching but still conveyed the professionalism of the company. Since Credible’s “Partnership” focus is important to their branding, we incorporated that terminology throughout the website, emphasizing the sense of community Credible provides. To maintain high readability, the content was dissected into shorter paragraphs with bullet lists, as opposed to large, bulky walls of text. Of course, as with every web project, we also had to structure the content in the right way to make it SEO compliant and boost traffic to the site. Working with Credible was one of our most rewarding experiences. Through phone calls, emails, and in-person meetings along the way, we were able to ensure that the project matched both their standards and ours. In the end, the result was a sleek website with high user functionality. If you like Credible’s new website, Marstudio can work with you to improve your company’s web presence too. Call us today to set up a consultation. 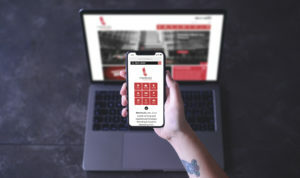 The first step toward your new website is just a phone call away! Sam is an original founding member of Marstudio and the epicenter of our design team. As Chief Creative Officer, he oversees and strategically directs all projects. How Mobile Friendly Is Your Website Design?